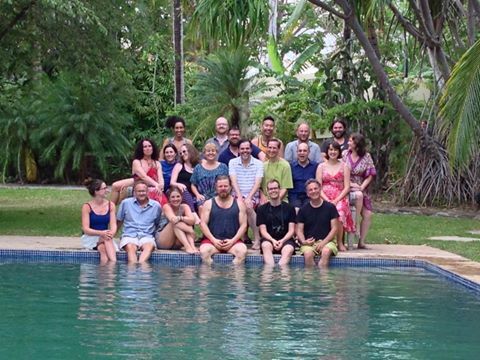 Nosara, Costa Rica — The producers of Forward/Story, which is in part underwritten by Columbia University, invited me to join them and 19 other Storytellers for a 4-day curated residential writer’s lab to explore the future(s) of Storytelling. 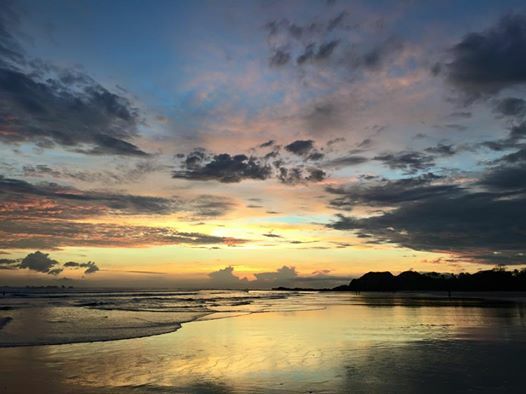 Stories were not only exchanged, but also entrusted during private walks along majestic Playa Guiones at evening tide, truly, the Magic Hour in rural, eco-friendly Nosara. As the sun began to set over the mighty Pacific, I felt myself jolted with the memory of reading Frank Herbert’s Children of Dune. I was reminded of Life’s Golden Path, here set before me along the seashore of another country surrounded by a new Tribe. These innovative Storytellers hail from Scotland, Wales, England, Sweden, France, Canada, Australia, and even, some exotic place called New York. Many came prepared but left disarmed. Some arrived unprepared but left armed. There is a special kind of Alchemy at work in sleepy Nosara. In fact, the story of Nosara itself is one that needs to be told. Here is a Third World rural beach community striving for eco-friendly sustainability…and succeeding. Development is highly restricted, and the environment clearly comes first. Yet, Nosara is known as The Hamptons of Costa Rica even though the roads remain unpaved, gravel dustbowls where horses, goats and chickens ignore the slowly passing cars and trucks. Walking paths and bike lanes are envisioned and not for tourists but for the people who live in Nosara, to improve their quality of Life. The local Costa Rican logistics coordinator for the Forward/Story event is a graduate of UC-Santa Barbara and is intent on achieving his MBA in economic and sustainable development in order to better serve his community. The future of Nosara looks bright. As for the international group of Storytellers, their future looks bright, as well. Super Nova-bright. The past four days now lay behind them, however, that does not mean it cannot be mined for Wisdom, for lessons learned. Success and Failure each teach us and must be valued equally. Part of the weekend was spent sharing Highs & Lows, Problems & Solutions, Ideas & Innovations. The Future lay ahead, ready for these digital creators and designers to begin, to move Forward. Producers Lance Weiler and Christy Dena brought together such a diverse group of people and forged a new community of Creatives in the process. Alchemy, indeed. So many new Stories to tell and now, so many new ways in which to tell them with so many new collaborators to share the journey along The Golden Path. Pura Vida, Amigos. Pura Vida. Photos by Trevor Francis, Nosara; Simon Staffans, a Swede living in Finland; and by Matt Mills, a Texan living in Brooklyn. Special Thanks to the fantastic Harmony Hotel (outstanding) and the Sunset Shack (hanging at Al Chile was the best). 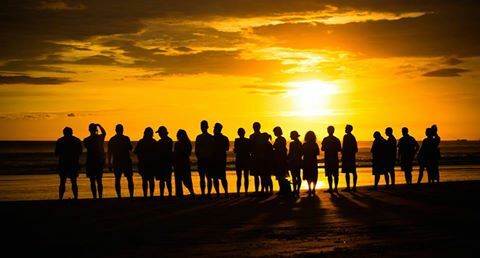 This entry was posted in Surfing Life and tagged Costa Rica, Forward/Story, Nosara, Playa Guiones, Surfing Life. Bookmark the permalink.